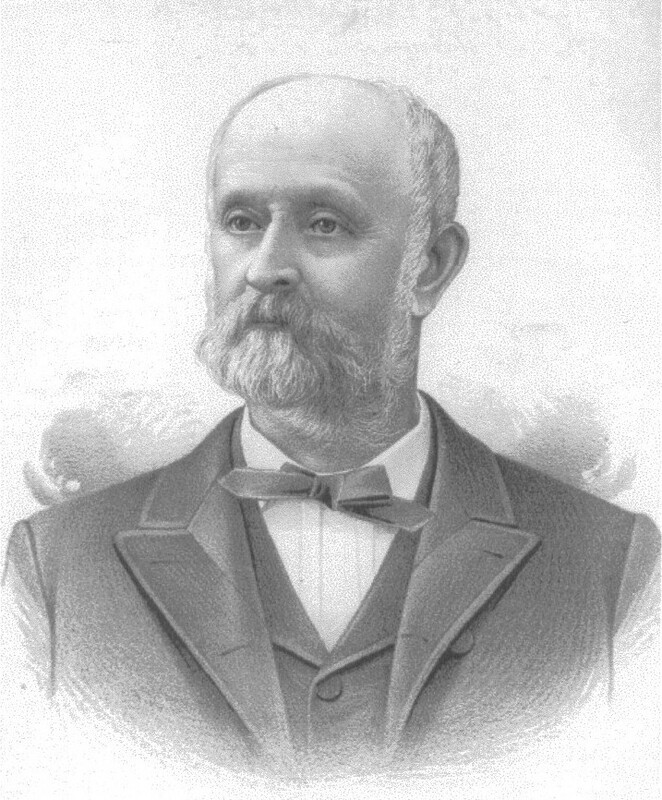 Within the bounds of Montgomery County, indeed of the entire state, no better representative of honest, upright manhood could be found than the above named gentleman, who has been for many years identified with the work of the county, and especially that portion of it known as Brown’s Valley, in which his home is located. The Fullenwider family is of ancient Swiss origin. Peter Fullenwider and wife, the great-grandparents of our subject, were both natives of the “land of snow and ice.” They made their acquaintance with this world in the same canton, growing to years of maturity as neighbors, and accepting each other as life partners in Switzerland, the country of their birth. Peter Fullenwider became impressed with the possibilities that rumor brought him concerning the New World soon after his marriage, and determined to see his fortune in the country which many of his friends and neighbors had portrayed in such glowing colors. Peter Fullenwider started with his wife and child for the shores of America in a sailing vessel, and when only a few days out at sea their little one sickened and died. The early history of this worthy couple is fraught with many incidents of a somewhat distressing character, but none so pathetic as the consignment of the body of their firstborn to the deep at a time when their hearts were already wrung by the parting form their friends and the place of their birth. They located in Hagerstown, Maryland, and there reared a family of four daughters and three sons. Their boys were Peter, Henry and Jacob, all of whom, after reaching mature years, moved form Hagerstown to Washington County, Pennsylvania, from which place they migrated to Shelby County, Kentucky. Jacob Fullenwider, the youngest of this family, returned to Pennsylvania about the year 1794 and there married Miss Catherine Winter, with whom he returned to Shelby County, Kentucky, where he became the father of fifteen! children and soon won recognition as one of the substantial citizens of the county. Peter Fullenwider’s family all reached years of manhood and womanhood. They were Peter, John, Elizabeth, Annie, Eleazer, Samuel, Mary, Lucinda, Christopher, Gamaliel, Nancy, David, Henry, Catherine and Jacob. Jacob, the youngest of this family, completed his thirty-fifth year before any member of the family died. Eleazer, the fifth son, married Miss Lavinia Allen, a lady much respected for her womanly traits of character, and J. Newton Fullenwider is the son of this esteemed couple, whose family numbered eleven children, all of whom reached maturity. The subject of this sketch first distinguished himself in life by entering the fortieth Indiana Infantry in the year 1863, joining the Atlanta campaign and taking part in the battle of Buzzard’s Roost. He was placed under General Sherman and took part in the battles of Big Shanty, Dalton, Franklin, Resaca, New Hope, Kenesaw Mountain and the two-days fight at Nashville. He was mustered out October 1865. James Fullenwider, our subject’s brother, joined the army in 1862 and was killed at the battle of Spring Hill, March 1863. Another soldier of this illustrious family was Robert Fullenwider, who enlisted in 1861 and was in active service at the Battle of Corinth, Mississippi, also at the battle of Murfreesboro, and was under the command of General Buell when those soldiers retreated back to Louisville. Chalmers E., the youngest brother, was also in the service. When the subject of this sketch decided to enlist he left his wife in charge of the farm with their four small children, the youngest of whom died before our subject left Indianapolis. Through timid, Mrs. Fullenwider is at the same time courageous. During the Civil War, while her husband was a soldier, she bravely maintained her family, through sickness and death entered therein with all their distresses. She willingly sacrificed everything that would deter her husband from going to the front in protection of the flag. Of Mr. and Mrs. Fullenwider’s four living children, Robert, the eldest, is now on the old farm; Lavinia is the wife of Dr. Charles Lofland, of Paris, Illinois; Henry C. is a farmer of this township, and James S. a graduate of the Purdue University at Lafayette, Indiana. Politically our subject was an old time Whig, and as a natural consequence has developed into a stanch Republican. He has served as Commissioner of Drainage for Montgomery County, and has also ! acted in the capacity of Justice of the Peace. He stands well in the brotherhood of Masonry and is an active and earnest member of the Presbyterian Church. Mr. Fullenwider is a remarkably intelligent businessman, loyal in his friendships and courteous in his bearing. His career in the community where he has made his home so long is that of an exemplary citizen in every respect. He was united in marriage October 1852, to Miss Mary A., daughter of Robert and Eliza (Roberts) Elliott, natives of Pennsylvania, both of whom are deceased. The family consisted of four sons and two daughters, namely: Scott, William, Davis, Charles (deceased), Margaret and Mary. The brother of Mrs. Fullenwider, Scott, was killed in the battle of Kenesaw Mountain. This entry was posted on January 17, 2010 at 9:16 pm and is filed under Soldier Profile with tags 40th Indiana Infantry, Fullenwider, Waveland. You can follow any responses to this entry through the RSS 2.0 feed. You can leave a response, or trackback from your own site. bookmarking for revisiting. I surprise how so much attempt you put to create any such great informative website. This is my great great grandfather. I live about 4 miles from where he lived and farmed. Unfortunately, all the family land got sold out of the family. I am proud to have ancestors such as he, and many more. Where do you live and are you a descendant of his?